You might have heard about it, the new selfie camera that's about to turn your selfie skills so much better without having to do anything anymore. Forget about apply filter, saving space for so many photos editing apps in your mobile phone because all you need is one camera - the Casio EX-TR70! First impression: Sleek, classy and amazing. The Casio EX-TR70 is made of a slim wedge-shaped design with an aluminium frame and different types of finishing depending on the color. 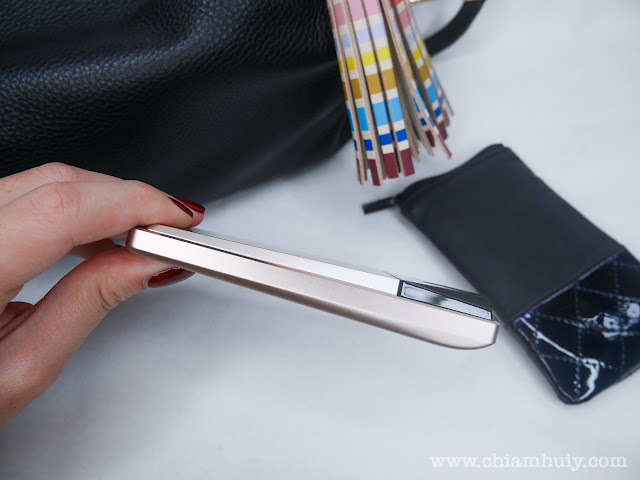 The one is Gold, which is the one I am reviewing, has a nice matte finish which gives an even more classy and amazing touch. It weighs only 149g , even after including the battery and memory card. Not only that, the camera functions through touch screen as well, giving users more convenience while using this user-friendly touch display. Charging point at the side, compatible to android chargers. 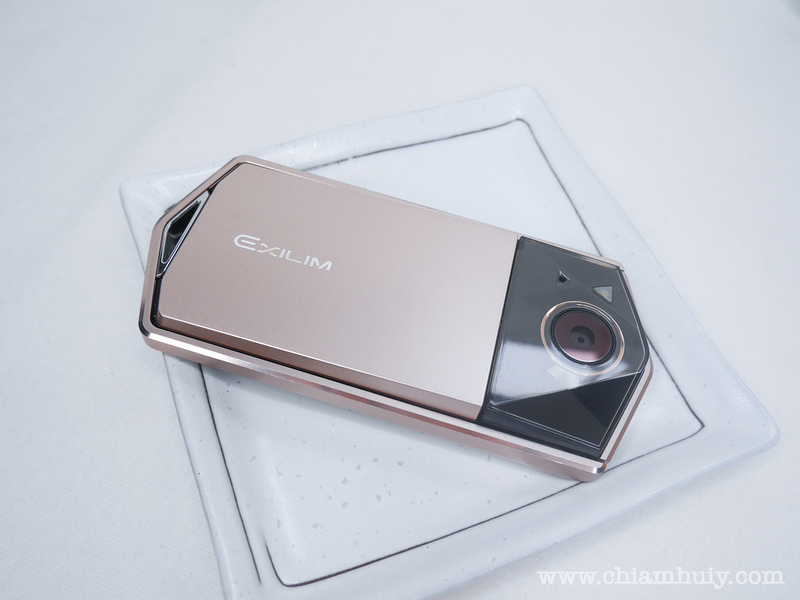 Don't worry about video mode as the EX-TR70 Advanced Make-up Mode applies to the videoing mode as well, making sure it doesn't compromise on small little details like the eyebrow and eyelash. What I also find interesting is the video stitching function. Simply record and stitch multiple video clips into a short movie by holding down the shutter button, release to pause, then hold down the button again to continue recording. This provides lots of convenience to those who likes to video down the snippets of their lives, or perhaps a budding youtuber! I guess enough of words, let the photos do the talk shall we? Blogger has the tendency to reduce photo quality. Please click to enlarge and see the true quality of the photos. I can't stop looking at how good and smooth my complexion turns out just with a touch of the button. No more editing needed! Messy hair strands flying around, tells you how sharp the photos are despite having beauty mode. Beauty mode surely doesn't compromise on the details of my fooooood. Perfect for taking ootds as well, just need to bring up the brightness a bit, which is possible with Casio EX-TR70! Even great for taking photos of the hair and eyelash. You can see that the minor details are not being blurred out despite having the make up mode on. At the price of SGD1399, I don't deny the fact that this camera comes with a pretty hefty price tag. However, this camera is built mainly for that one good purpose - to take selfie! It comes with one of the best makeup functions I've ever came across, be in on the mobile phone or other cameras' beauty function. 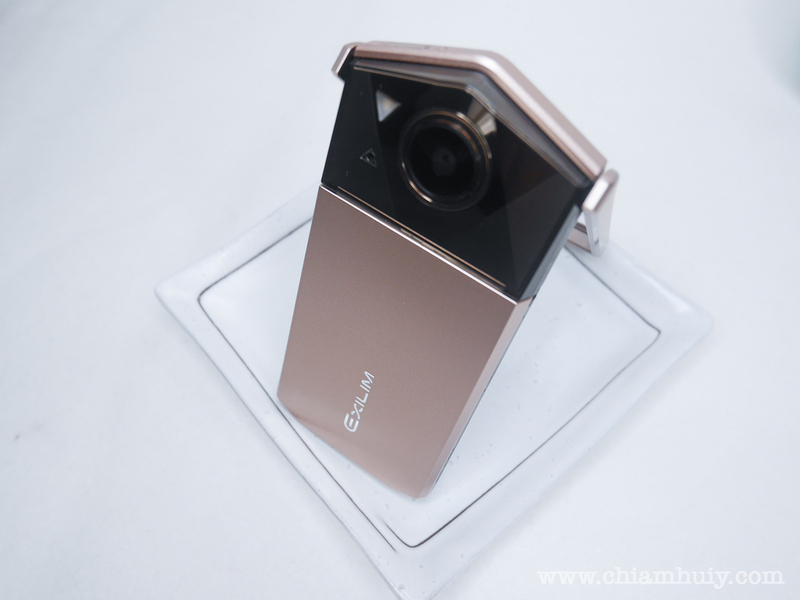 This camera will best suits those who love to takes selfie and can't live without it. What's more happy than having a camera that is catered to none other than selfies? 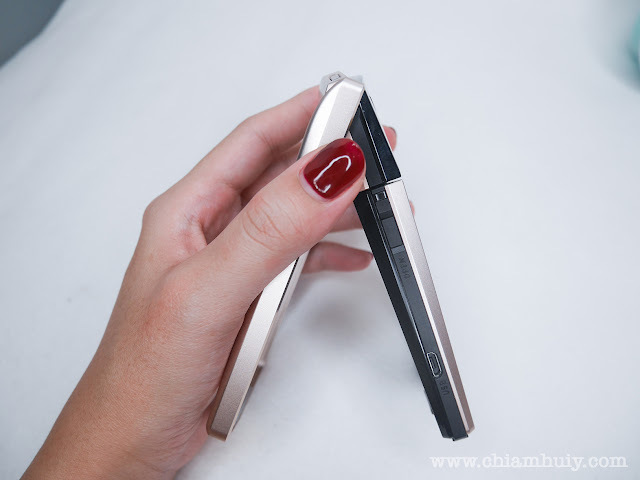 What's more impressive is the Make-up Plus Technology for Videoing, which means you can still take videos with make up mode while enhancing your skin tone and complexion. The quality of the photos can be said to be very impressive when there's ample light. I find that the photos taken at night or with little lighting might not do as good. Photos are a little grainy and blur, which is quite commonly found when using other cameras since there's not enough lighting. Hard to blame! That aside, I love how handy and slim the Casio EX-TR70 is. 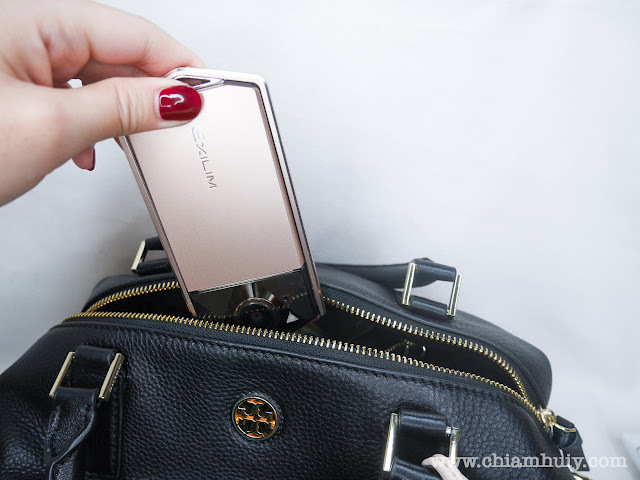 The compact size which makes the camera weighing only 149g makes it the best buddy for all ladies with small little handbags. It just doesn't add too much weight to our bags, which I am so thankful for! The easy sharing function through both bluetooth and wifi makes the life of a social media addict (which is me) so much easier cos I can just transfer to my phone and it's ready to be uploaded! 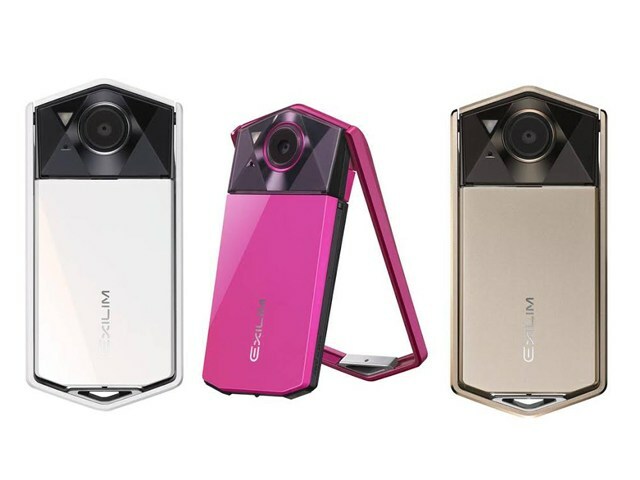 Casio EX-TR70 comes in three Colors (Gold, White and Pink). This EX-TR70 camera review is made possible thanks to Casio & Ogilvy.